With the biggest event of the season just around the corner, we’ve picked 4 of our favourite red-carpet styles to recreate at this year’s Dubai World Cup. 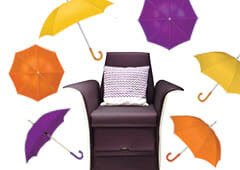 It’s no doubt that Marquee will be the only place you’ll want to get your hair done to win the style stakes this year! 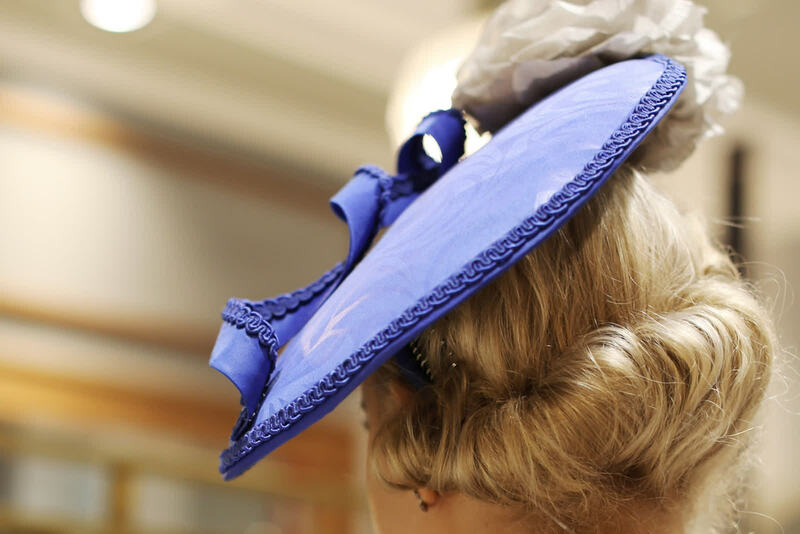 Not only are the teams at every branch highly skilled to give you a show-stopping look but Marquee has teamed up with the best milliners in the region to really elevate your look. 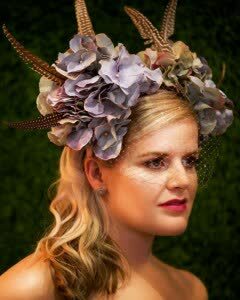 Choose from a stunning array of artisan fascinators created by designers like Vivienne Morgan Millinery, the ever popular Karen Hamilton Couture Millinery and Evelyn McDermott Millinery to team up with a red-carpet race-ready look. If you’re looking to achieve the bombshell look, go for Selena Gomez’s glam hair style. The starlet stunned the red-carpet crowd at the Grammy’s with her gorgeous long locks. To recreate the look, make sure your hair is parted to one side using a medium curling tong or medium size rollers for those voluminous Hollywood curls – for added volume, invest in a couple of Balmain hair extensions. After hair is curled, give it a more natural look by brushing your hands through or shaking it all out. Use a strong hold hair spray to keep hair in place all day. If you’re worried about frizz, make sure you use a serum to keep hair looking lustrous and neat. For a side hair part like Selena’s, opt for an understated fascinator that can easily be pinned to the side of the head with a slight tilt to get that classic look. At the Golden Globes this year, Alicia Vikander stole the show with her gorgeous hair and make-up. Her hair was styled to perfection with a knotted chignon and a side part. The sleek hair look has a lot of intricate details and knotting that may prove a little difficult to try and do yourself – get one of the expert stylists at Marquee to lend you a hand for that perfect award-winning chignon. What’s great about this chic look is that you can really experiment with your fascinator and play around with the placement before you pin the look! If you have shorter hair, or are sporting the on-trend lob, take a cue from Rachel McAdams at the Sag Awards for all your styling needs. To get Rachel’s vintage inspired finger waves, start by creating an extreme parting, then use a 1-inch curling wand and as you curl each section, pull down on the curl for a loose, textured and effortless finish. For your fascinator, pick something small and definitely to the side so you can show off your trendy tresses as well as the fabulous fascinator come race day! Sofia Vergera nailed her look at the Oscars this year with a gorgeous low ponytail. 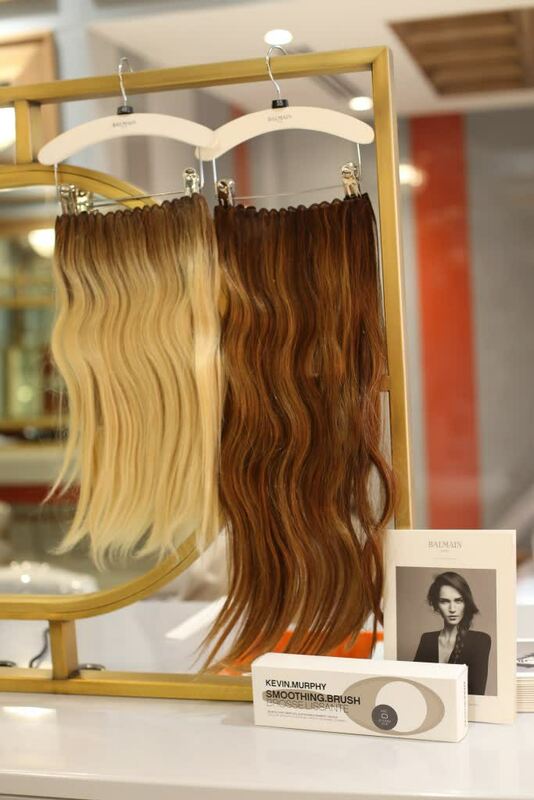 If you don’t have the long locks to work with, then you must try a Balmain Clip-in Catwalk Ponytail to recreate the look and available at all Marquee salons. What’s great about this low pony style is not only is it sleek but super stylish too. Wear your fascinator right in the centre for a cool, edgy look that will definitely make you a front-runner in the style stakes this year.